We have already presented a number of liturgical texts on this blog, and our efforts in developing a messianic liturgy have now resulted in a first contribution for the daily service. We are able to publish a messianic version of the Afternoon Service (Minchah) for Weekdays. Minchah is the shortest of the three daily prayers, and it has a relatively simple structure. That’s the reason why we have chosen it as the first part of our larger project of developing a Messianic Siddur. We hope to publish the texts of the daily Shacharit and Maariv services in the foreseeable future. The translation of the Hebrew text mainly follows the English translation of the Standard Prayer Book (1915) by Simeon Singer, which is freely available on the web as an open online source. Our text is not freely available, however, since it is an original liturgical composition of its own. Insofar as our text differs from Singer’s and our liturgy deviates from the orthodox Minchah service and shows its own features, it is subject to copyright. It may not be reproduced without our written permission. The text can be viewed by clicking on the following link. 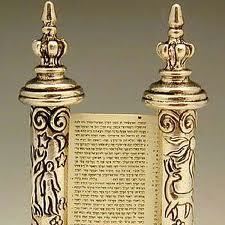 Many messianic congregations have adopted the orthodox Jewish practice of an annual Torah reading cycle. In Orthodox Judaism the Torah is read in a lectio continua and the sequence of the weekly sections is only interrupted at the major feasts, which have their own Torah portions. According to the traditional practice a second lesson, taken from the prophets, concludes the Sabbath morning reading service. 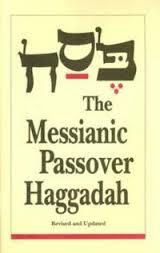 In messianic congregations this Haftarah reading is often followed by a third reading taken from the Apostolic Writings. The traditional practice is recommendable, and should not be lightly set aside. Yet it has some disadvantages and problems. Its principal disadvantage is that only a small section of Holy Scripture is publicly read. While the Torah is completely covered, only some fragments of the majority of the other Books are heard in the weekly Sabbath liturgy. In a messianic setting there are three important aspects to the question what to read which could lead to a reconsideration of this orthodox liturgical lectionary. The first of these is our emphasis on the primacy of all Scripture, not just of the Books of the Torah, in communicating G-d’s revelation to us. The Apostle Paul wrote to Timothy: “All Scripture is given by the inspiration of G-d, and profitable for doctrine, for reproof, for correction, for instruction in righteousness: that the man of G-d may be perfect, throughly furnished unto all good works” (II Tim 3:16-17). The messianic emphasis on Scripture as the prime and supreme source of divine revelation conflicts with the orthodox theological model, which has elevated the Oral Torah, i.e. rabbinic authority, to a position of overriding authority, at least in practice. For Messianics it should only be natural to undergird their emphasis on Scripture by customs of public reading that are in line with their doctrine. Although this doctrine doesn’t necessarily lead to a schedule that has all the Scriptures read in the Synagogue, it should be acknowledged that there are important arguments in favour of it. If we as Messianics want to be a biblical people, devoted to the exclusion of selective, one-sided and erroneous theological developments, then an excellent way to do so is to stimulate a culture of scriptural study in the broadest sense of the word. More specifically this means that no part of Scripture is negligible for the discipline of interpreting and applying the precepts of the Torah. 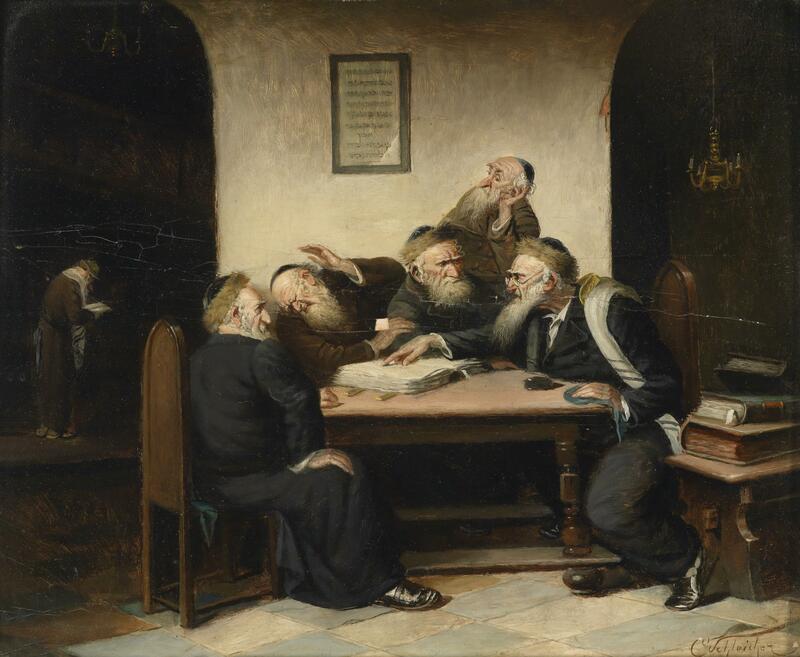 Oftentimes one sees Messianics jumping to principles found in talmudic and post-talmudic halachic sources, without duly considering the possibility that other parts of Scripture, for instance the Book of the Proverbs, may contain important clues or interpretional principles for the study of the Torah. This is not to say that the Talmud or later halachic sources shouldn’t be consulted. It is to say that Scripture comes first and that the post-scriptural and non-scriptural sources should be given their due place under the primacy and authority of Scripture. A second aspect to be given due attention is the fact that one of the criteria of the traditonal selection of Haftarot has been the deliberate exclusion of all passages that could easily lead to Christian associations or interpretations. Almost nothing can be ascertained here with rigid historical proof, but it is remarkable that passages which have a prominent meaning for Messianics, such as Isaiah’s chapters LIII and LXI (cf. Luke 4:16-20), were left out of the later Synagogue liturgy. This is especially noteworthy in the case of Isaiah 61:1-2, because the chapters closely preceding and following it were made part of the seven Haftarot of Consolation, which are read after the Fast Day in Commemoration of the Destruction of the Temple, Tisha B’Av. The sixth of these is Is. 60:1-22 (Haftarah Ki Tavo) and the seventh is Is. 61:10-63:9 (Haftarah Nitzavim). It is completely legitimate for Messianics to seek a correction of this state of affairs in some way or other. And an impartial way of doing is by endorsing a non-selective reading of the prophetic books. A third aspect to be considered by Messianics in this context is the question what passages should be read from the Apostolic Scriptures. If traditional Judaism has made its choice of Haftarah passages, should Messianic Judaism do the same with the Apostolic Writings? Or should we perhaps follow a less selective policy and read them all? However, if it should appear that we are unable to make a convincing liturgical selection, and instead decide to read them all, should we then not apply the same procedure to the Prophets, and also to the third category of Scripture contained in the Tanach, the Writings? And if it is our best option to read all the Scriptures, how are we to put this into practice? Many congregations nowadays have an overloaded schedule of readings already, caused by the addition of a third reading, taken from the Apostolic Scriptures, to the readings of the Sabbath morning service. From a traditional halachic viewpoint, a third reading during Shacharit causes certain technical inconveniences. 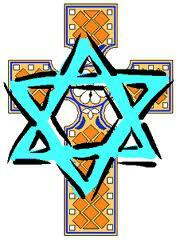 It is problematic, for instance, to recite the traditional Haftarah blessings. These blessings indicate that the reading section of the service is concluded. Adding a third reading is a denial of this and requires the abrogation or modification of these blessings and the introduction of new ones specifically relating to the apostolic readings. It also demands for some corresponding modifications in the concluding blessings of the entire reading section, when the Torah Scroll is returned to the Aron HaKodesh. 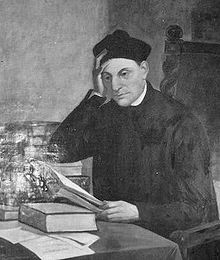 Another question that has to be answered is: Is it possible to develop a consistent program of reading all Scripture, and yet to be faithful to the format of the liturgical year by having the passages read in their proper seasons? Naturally, this particularly applies to the readings from the Gospels, since Messiah’s life is the spiritual centre or axis of the entire orbit of the liturgical year. Diverse congregations try to find tenable solutions for this problem. The following outline is a detailed proposal for your consideration. As is obvious, it has its own presuppositions, some of which may not be shared by all Messianics. At Messianic613 we favour a liturgical model which includes the celebration of the Lord’s Supper at the evening services of Shabbat, New Moon (Rosh Chodesh), and the major annual festivals. According to a long-standing Christian tradition in these eucharistic services two passages of the Apostolic Scriptures are read — which by their traditional names are called the “Epistle” and “Gospel” readings. We discovered that the practice of having the Apostolic Scriptures read in the evening service has the advantage of not overburdening the Sabbath morning service with additional readings. Due to the Torah and Haftarah readings, and the Mussaf prayers, this service is already of considerable length. The first problem we had to solve was: How should we read the Torah, in a one-year or a three-year cycle? Since both traditions have their ancient roots as well as their specific merits, we have sought to combine them and have found the following solution. During the Shmittah– or Sabbath-years we follow the annual cycle of Orthodox Judaism. During the six normal years we follow the triennial cycle. Thus we have always two triennial cycles alternated by an annual cycle. This solution has the merit of giving a distinctive mark to the Shmittah-years. Below we’ll see that it also has certain advantages as an architectural principle for ordering the remainder of the scriptural readings. For the Haftarah reading we propose a schedule of reading all the prophetic books in sequence. Now, because the prophets are a large body to read, it is obvious that this cannot be done in one year on a weekly basis. We have made a timeframe of seven years, based on the twofold division we find in the prophetic books: the former or early prophets (i.e. Joshua, Judges, Samuel, and Kings), and the later prophets (i.e. Isaiah, Jeremiah, and Ezekiel) which are concluded by the so called 12 minor prophets (i.e. Hosea, Joel, Amos, Obadiah, Jonah, Micah, Nahum, Habakkuk, Zephaniah, Haggai, Zechariah, and Malachi). The former prophets are to be read as Haftarot during the first triennial Torah cycle, the later prophets Isaiah, Jeremiah, and Ezekiel, during the second triennial cycle. This solution left us with the question what to do with the minor prophets. For during the Shmittah years the traditional Haftarot are read. The next problem for us was how and when to read from the other Scriptures, the Writings or Ketuvim. After some trial and error we developed the proposal to read from these Scriptures during the Sabbath and festival Minchah services. Several of the Books of the Ketuvim already have an annually fixed season of public reading. According to this the Book of Canticles should be read during Passover, Ruth at Shavuot, and the Lamentations of Jeremiah at Tisha B’Av. The Book of Ecclesiastes is to be read during Sukkot, and Esther is the Megillah to be read at Purim. If we add to this that it is appropriate to read the Book of Daniel during Chanukah (at Maariv), the books that remain are Psalms, Proverbs, Job, Ezra-Nehemiah, and Chronicles. From these the Psalms can be excluded from public reading, however, since they are already used in the liturgy as the main hymnal. We have developed a format for the daily Shacharit and Minchah services in which the Book of Psalms is used in a manner that follows its traditional division into thirty sections, according to the maximum of days of the Jewish month. The Psalms are thus recited or sung in a monthly cycle. And in the Maariv services of Shabbat and Yom Tov Psalms are used as intermediate hymns between the Epistle and Gospel readings. According to the chiastic structure of the Writings as found in the Jewish canonical order, it would be proper to have Proverbs and Job read at Minchah during the first triennial Torah cycle, and Ezra-Nehemia and Chronicles during the second triennial Torah cycle. This leaves open the question what to read during the Sabbath Minchah service of the Shmittah year. Our suggestion would be to insert the minor prophets here. Now about the reading schedule of the Apostolic Scriptures. In order to follow the liturgical year and to have the reading sections in harmony with the major festive seasons (Yamim Tovim) of Messiah’s birth (at Sukkot), his death and resurrection (at Pesach), and the outpouring of the Ruach HaKodesh after his Ascension (at Shavuot), the readings from the Gospels and the Acts of the Apostles have to be divided over the two halves of the year. Our proposal is to read each year one of the Gospels in a lectio continua during the first half of the year (from Shabbat Bereisheet to Pesach), thus covering Messiah’s earthly life, and to read the Acts of the Apostles during the second half of every year (from Shavuot to Rosh HaShanah), thus covering Messiah’s post-resurrection activity. 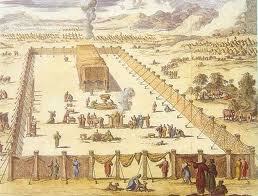 The seven Sabbaths of the Omer can be used to repeat important Gospel lessons (e.g. the parables of the Kingdom in the Gospel of Mathew) in preparation of the festival of Shavuot. We intend the Yamim Tovim to keep the privilige of having their own distinctive readings and on these days the lectio continua schedule is to be interrupted. 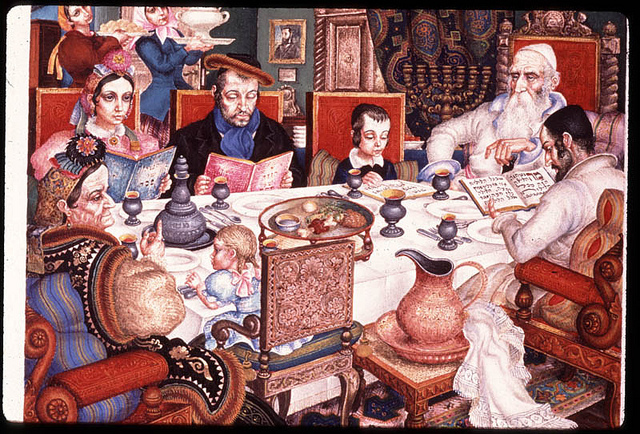 However, the normal Shabbat readings should properly lead up to the major feasts and from one festive season to next. The above made alternation between the triennial and annual Torah cycles can be used as a key for allotting the Gospels their place in our liturgical framework. The main distinction in the Gospels is between the synoptic Gospels and the Gospel of John. This would suggest that the Gospel of John should be read during the Shmittah years and that the three Synoptic Gospels should be read in tune with the triennial cycle. This results in two cycles of readings from Matthew, Mark and Luke successively, alternated with a year in which the Gospel of John is read. In this manner each Gospel has its own years of reading. The reading of the Epistles allows for a similar division. The Epistles can be divided in three sections: the general Epistles and Hebrews, the earlier Epistles of Paul, and the later or prison Epistles of Paul. According to this division each group of Epistles can be assigned to one of the synoptic Gospels: The general Epistles, including Hebrews, to the Gospel of Matthew; the early Epistles of Paul to the Gospel of Mark, and the prison Epistles of Paul to the Gospel of Luke. The only remaining book which has yet to find a place is the Apocalypse of John. I suggest its reading as replacing the Epistle reading during the Shmittah year, thus accompanying the reading of the Gospel of John. While it is clear that this whole schedule is not a necessary consequence which follows from undisputed and universally accepted principles, yet we think that it should be given due weight and consideration. It shows both simplicity and elegance in combining the two demands of having all of Scripture read and of having an order of reading which is in harmony with the seasons of the liturgical year. It remains to be seen of course whether this schedule is practical enough to maintain and whether its details can be ordered in such a manner as to establish sensible connections between the diverse cycles of reading interfering with each other. Will it be possible to have the four readings — Epistle, Gospel (or Acts), Torah, and Haftarah — occuring on any given Sabbath to illuminate each other under the conditions of a lectio continua? We hope to explore this question further in our efforts to develop a truly messianic liturgy.